The Indian River Lagoon is a shallow-water estuary stretching along 40 percent of Florida’s east coast. Spanning 156 miles from Ponce de Leon Inlet in Volusia County to the southern boundary of Martin County, the lagoon supports commercial and recreational fisheries and acts as an economic engine for the region. As of 2014, the annual economic value of the lagoon was estimated to be $7.6 billion, which included nearly 72,000 jobs and recreational opportunities for more than 7.4 million visitors per year. Over the past century, people have been drawn to the lagoon by its diverse array of plants and animals, temperate climate, and access to the Atlantic Ocean. Unfortunately, their activities have caused inadvertent, undesirable changes in those attractive characteristics. Throughout recorded history, there have been fish kills, algal blooms and periods with poor water quality, but the lagoon had an ability to moderate or recover from these events. Recent events suggest that key buffers are overloaded or damaged, and the lagoon has struggled to resist changes or rebound. Since the 1990s, efforts to restore and improve water quality were paralleled by improving conditions in the lagoon. The extent of seagrass — used as an indicator of water quality — rose steadily from 1993 through 2009. Since 2011, seagrass beds have declined due to shading created by a series of algal blooms. The St. Johns River Water Management District, federal and state agencies, local governments and educational institutions have worked individually and collectively to understand the causes of these unprecedented algal blooms in a quest to identify what can be done to limit or avoid similar events. Simultaneously, the district and its partners continue to implement projects that remove legacy loads of nutrients and sediments and reduce the influx of these materials. 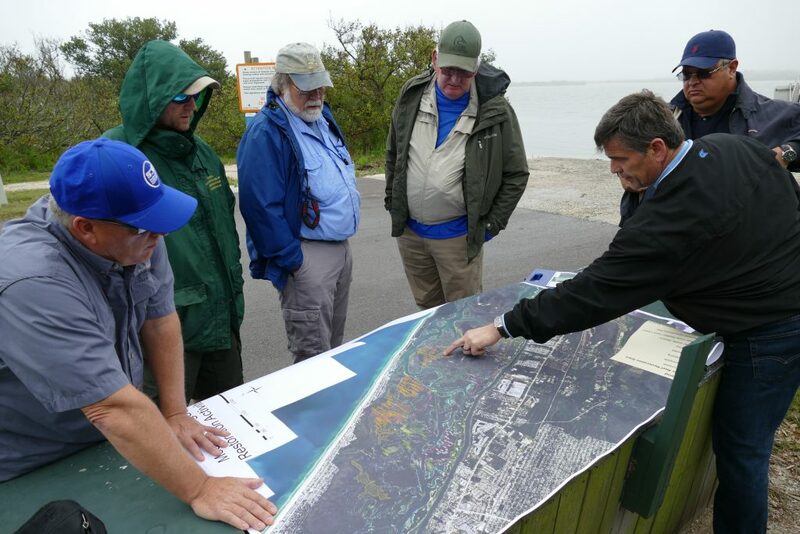 All the partners are focused on developing a more useful understanding of the lagoon’s complexity as an underpinning for sound management strategies and cost-effective projects that will restore the lagoon to a system dominated by seagrass.